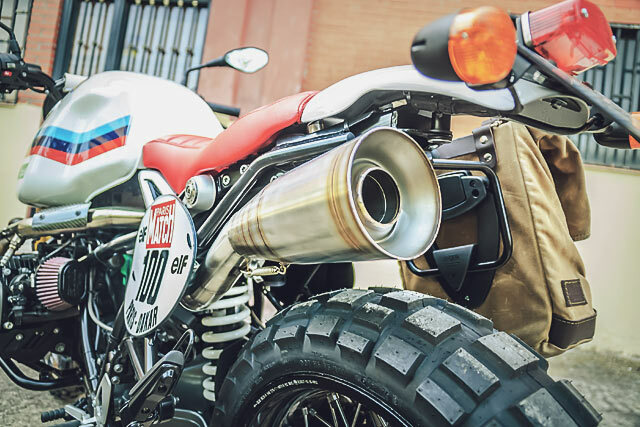 In case you’ve been living under a rock XTR is the laboratory in which builder extraordinaire Pepo Rosell creates his wild race inspired machines for the road. 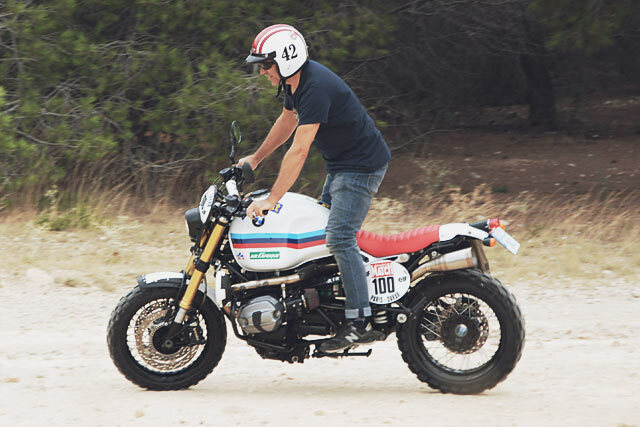 In recent years he’s been expanding his horizons to include bikes built to play in the dirt “I’m opening my range of customising style from Endurance race bikes to Off Road bikes, but always race bikes. 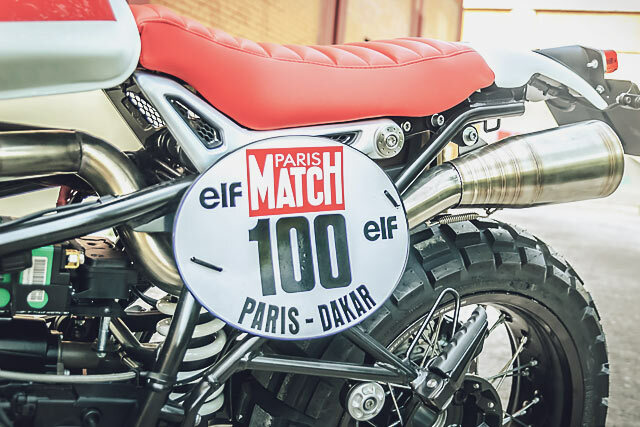 I like very much the Paris Dakar bikes, but the first years since the early eighties to the late nineties, when the races were really in Africa,” explains the XTR boss. 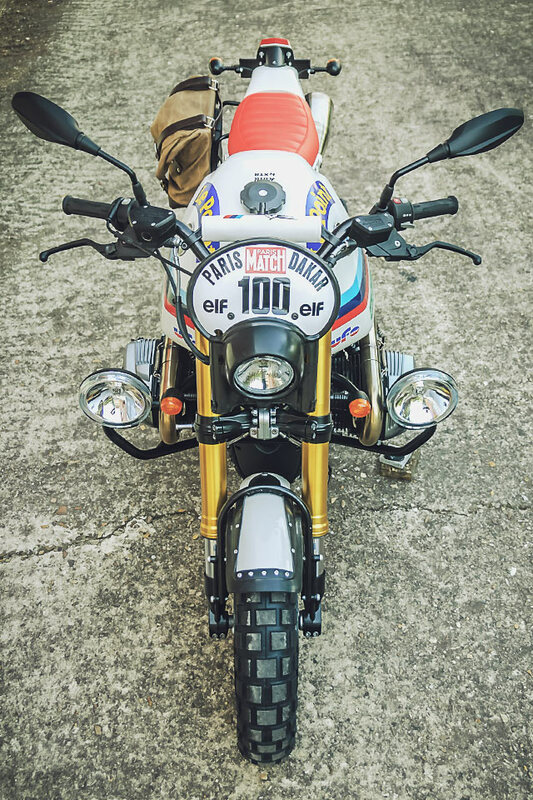 One man and his motorcycle in particular has always been a favourite of Pepo, the legendary Frenchman Hubert Auriol. Born in Africa, he’s won the Paris-Dakar on both two wheels and four and has also served as the race director. 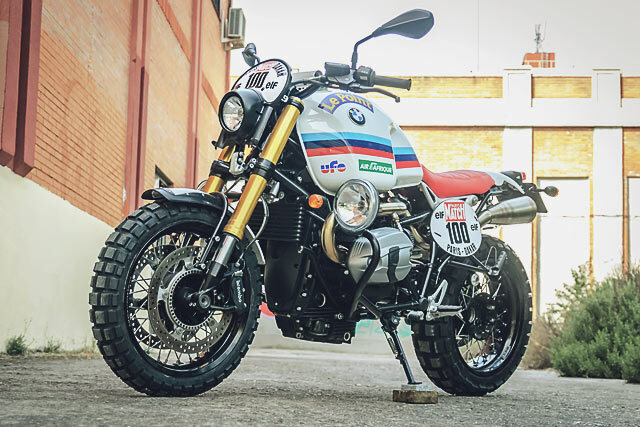 So when a customer came knocking at the XTR door with a BMW R nineT ready to be made into a proper adventure machine, Pepo took the chance to create a tribute to Auriol’s 1981 race winning BMW R80G/S that solidified the company’s off-road racing credentials and remains an icon to this day. In contrast to most XTR builds Pepo explains this was not as complicated as many of the challenges he takes on. But there were key areas of the BMW factory’s efforts that he found were lacking in their authenticity. The most obvious of these was the tiny tank with a maximum fuel capacity of just 17 litres. 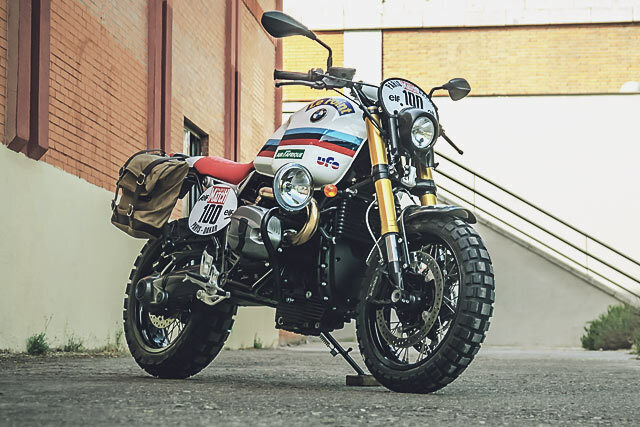 So with the bike stripped down to the frame a genuine BMW GS 80 Paris Dakar fuel tank was sourced and it bumps capacity up to a much more adventure friendly 26 litres. But it is by no means a straight swap, with the stock tank already a tight fit. The process was further complicated by the plan to run a high mount exhaust and the first casualty was the stock airbox. The next piece to come in for modification were the internals to allow for the stock nineT fuel pump to work with the big GS tank. With the fabrication completed Pepo says he could now do the job and retain the stock airbox but the exhaust would need a totally different approach. All finished the tank was painted in the BMW racing colours and given an Auriol stick kit for that true ’80s vibe. The tail-piece and seat are taken from the Luis Moto catalogue with Pepo needing to modify both to fit the design criteria. 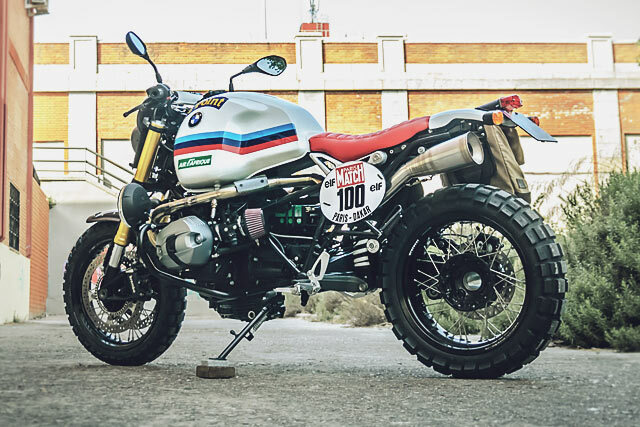 With the appropriate changes made the tail, which also serves as a mud guard, was given the BMW white paint job and bolted to the frame. Having modified the seat unit significantly Pepo shows off his leather working skills by reupholstering the piece in the same leather it had arrived in. The front guard is also from Luis Moto with more of Pepo’s own touches that see it ready for the kind of punishment that a harsh environment literally throws up. 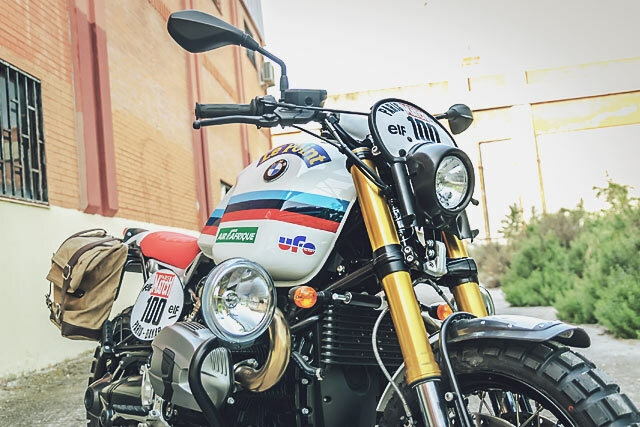 To really give the bike that throw back appeal the headlight fairing comes from a Bultaco Cross with the company also supplying the small headlight. 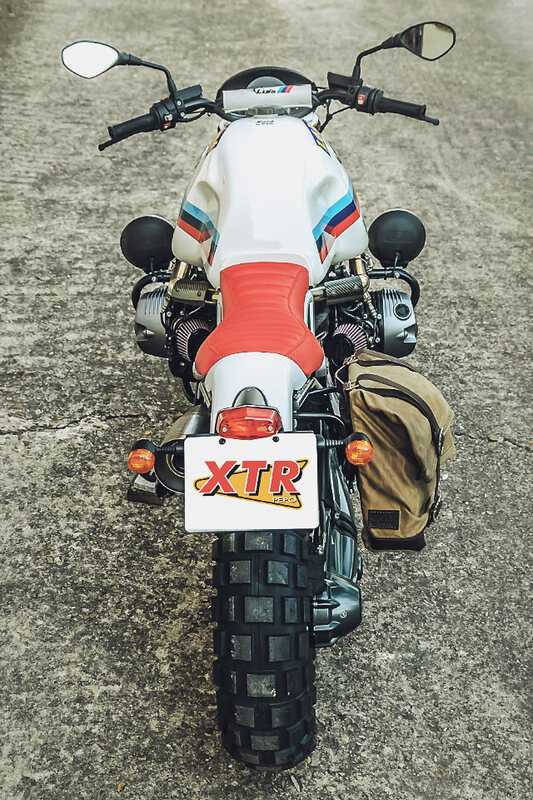 The side race plates were made in house at XTR to suit the BMW that also get the sticker and paint finish which was all carried out by Artenruta in Madrid. Of course part of the true aesthetic of any Dakar machine comes in the form of the essentials needed to complete such a demanding race. And the twin Hella high beam projector lights make a bold statement. These find their home on a pair of Unit Garage cylinder protectors, a vital component on the boxer engine design. That twin cylinder power plant provides plenty of fun from the factory with 116nm of torque on tap more than enough to launch over the dunes. 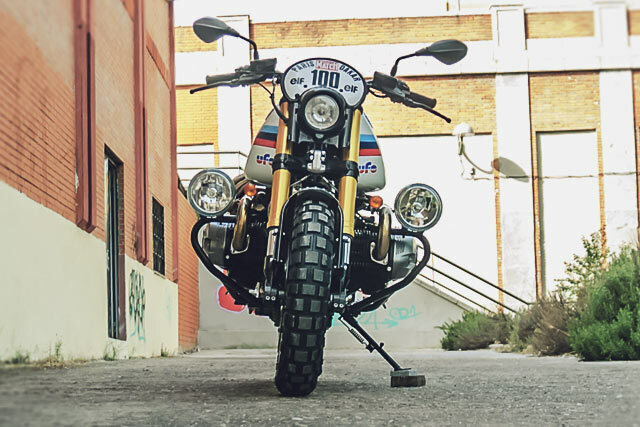 But as many Dakar competitors have found over the years, the low slung exhausts of a BMW make for easy prey for any large rocks lying in wait. Solving the problem is one of Pepo’s own handcrafted 2 into 1 Supermario exhaust system designs. His unique concept runs under the centre frame and barks out of his own custom end can, with carbon shields ensuring no legs are burnt in the process. With the airbox now removed the engine breathes through a pair of washable DNA air filters. The airbox removal and design of the exhaust system also meant the stock battery location was now filled, so a much smaller LiPo battery takes its place, saving some pounds along the way. The remainder of the electrical system also came in for some slimming down, no easy task on a modern BMW. Staying true to theme the indicators aren’t tiny LED items but Suzuki DR Big 50 blinkers letting the locals know your precise next move. While out back a Lucas type rear light from Ossa lets your competition track your path through the plumes of dust.